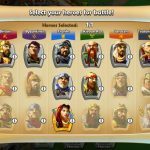 Age of Empires: Castle Siege was originally released by Microsoft for Windows and Windows Phone devices, but there an iOS version is now available for iPhone and iPad users. 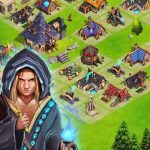 The game is part of the long-running and popular Age of Empires franchise, and in this mobile title, you get to guide your empire through the medieval era. 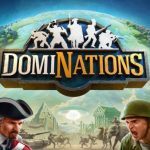 You can choose from any one of several civilizations, and once you’ve gotten started, you can upgrade your base, your troops, and your walls, attack the enemy, and defend your post against your rivals. You can also research technology, fight historical battles, and recruit some of history’s most recognizable heroes of the era. Regardless of whether you’re an Age of Empires veteran or not, we believe that our Age of Empires: Castle Siege cheats and strategy guide will help you in running your empire. Here’s the first part of our two-part series of Age of Empires: Castle Siege tips and tricks. It’s very, very tempting to spend gold early on, but you would actually want to save it for the proverbial rainy day. This would typically be after Age 5 or Age 6, as it would be at those points in the game where you’ll be under the gun and needing to finish construction on buildings to protect your base from attackers. The walls are the anchor of your defense, and before you spend your resources on new buildings or upgrading existing ones, you should always make sure that your base has walls surrounding it. This will protect your base from looters, thus allowing you to save on resources as well. Sounds similar to the above tip? Actually it isn’t. 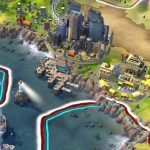 That’s because it isn’t enough to build walls around your city – you should also wall your resource storage buildings and your towers. Enemies will typically go for your towers before anything else, and of course they’ll want to go for your storage buildings to steal your resources. In relation to this, we suggest building resource storage buildings and towers close together. These are two important buildings that frequently get overlooked, especially by newer players. It is indeed essential to build these two structures the very moment you could. The first building matters because it will allow you to control the Byzantine hero Belasirius, whose special skill is tunneling under walls and subsequently destroying them from within. The latter would allow you to unlock powerful catapults and trebuchets, which could be very useful in breaking walls down. While it may sound like a good idea to work on your barracks or other military-related buildings, you should also build the Hippodrome of Constantinople as soon as possible. Building it would unlock more powerful troops that you won’t be unable to unlock with your barracks alone. For example, if you’re controlling the Britons, you’ll get longbowmen, while you’ll get knight templars, if you’re in control of the Franks. Want some more tips for the game? Read our advanced tips, tricks and strategies for Age of Empires: Castle Siege that will help you leading your empire to glory.